Valentine’s Day isn’t only a day to celebrate your romantic relationships. It’s the perfect time to recognize everyone in your life that you love, no matter how old they are. These Valentine’s Day gift ideas for kids will let your little ones know just how much they mean to you. Children love gift baskets just as much as adults! If you want to make it from scratch, you can pack it with all of their favorite treats and toys. You can even make some of the treats from scratch! For instance, if your kids love your chocolate chip cookies, you can whip up a batch for the gift basket and then include them in the gift. If you don’t have time to make the basket yourself, you can certainly buy one of ours! When it comes to giving your kids gifts, sometimes the simplest gifts are the best. Valentine’s Day themed stickers, for example, are a simple and fun gesture to show them how much you love them! By giving them sheets of stickers, you also give them a chance to spread this love to others. Your kids often crave more attention from you. 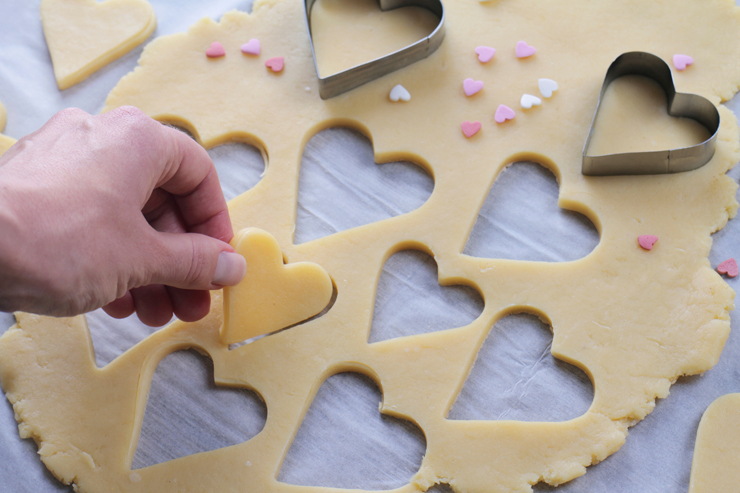 One of the best ways to spend time with them is to bake a special Valentine’s Day themed treat together! You can make heart shaped cookies, heart shaped cupcakes, and even homemade chocolates with them. They’ll not only love eating the treats, but they’ll love that you spent time with them. Do your kids enjoy art? If so, then the perfect gifts for them are more art supplies such as colored pencils, markers, paper, and coloring books. You can even take this a step further and sign them up for art lessons. When they’re serious about art, it’s a good idea to help them nurture their talents from a young age. If your children love stuffed animals, they’ll enjoy adding to their collection on Valentine’s Day! Whether you give them a stuffed heart or a stuffed bear decorated in Valentine’s Day colors, they’ll definitely love their new toy. Take a look at what they already have and then buy them a stuffed toy that’s a little different than what’s in their collection. This will make your gift truly unique. One of the most popular gifts that kids like to give their parents are coupon books filled with things that they’re willing to do for you, such as chores, cook dinner, or even babysit. This Valentine’s Day, why not do the same for them! You can fill the coupon book in with items such as “bake one batch of chocolate chip cookies together” or “exempt from your chores for 1 day.” This is an easy way to show them you care. These Valentine’s Day gifts are perfect for your kids!